The alternative Mini-keyboard Minuum Keyboard Android has not stopped improving since it went on sale in August of last year in Google Play. Today the application receives its update over the version 2.0 coming full of improvements along with a free version that allows us to try for 30 days This minimalist keyboard. 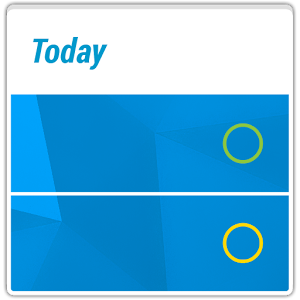 Minuum Keyboard 2.0 for Android improve the interface of your keyboard, reducing the delay that had when it was closed, and they add a Manager to download and manage languages from the application settings. This new version now supports the following languages: English, Spanish, French, German, Italian and Portuguese of Brazil. The team of Minuum will add more languages in future updates. Who does not know Minumm say that it is a keyboard whose main characteristic is that it allows with a simple sliding two fingers to reduce the size of the keyboard to have a keyboard with a line to the numbers and symbols and another for letters, in which only need press near his position to write a Word. The keyboard will try to figure out what we wanted to write to press its small keys.